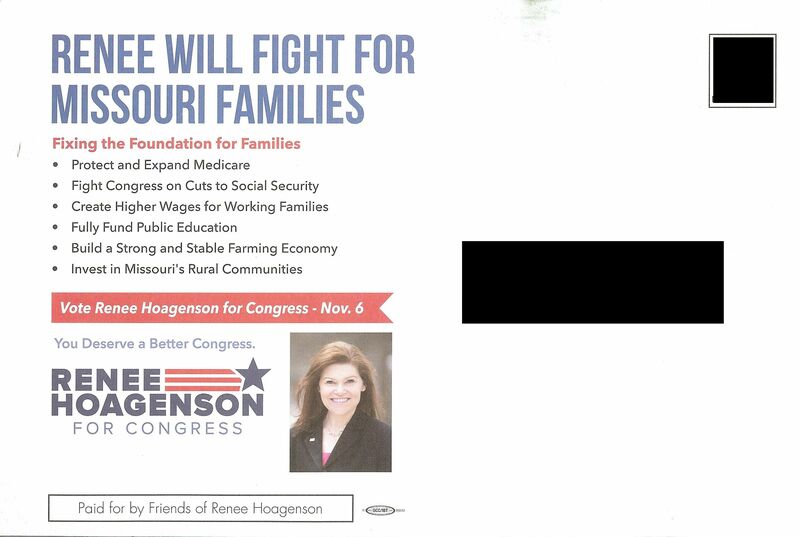 If you voted “No” on Proposition A in August you vote for Renee Hoagenson (D) in the 4th Congressional District in November. Finish the job. Otherwise, you’ll be facing “right to get paid less” again in the near future. This bill amends the National Labor Relations Act and the Railway Labor Act to repeal those provisions that permit employers or labor organizations, pursuant to a collective bargaining agreement that is a union security agreement, to require employees to join a union as a condition of employment (including provisions permitting railroad carriers to require, pursuant to such an agreement, payroll deduction of union dues or fees as a condition of employment). The following statement is from Daniel P. Mehan, president and CEO of the Missouri Chamber of Commerce and Industry. 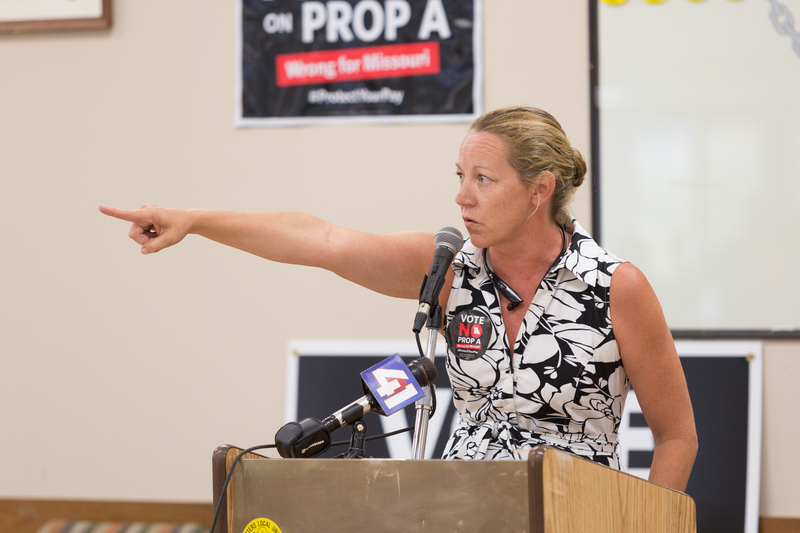 Using a roughly $20 million war chest, union bosses have blocked Missourians from having the freedom to decide whether or not they join a union and pay dues. 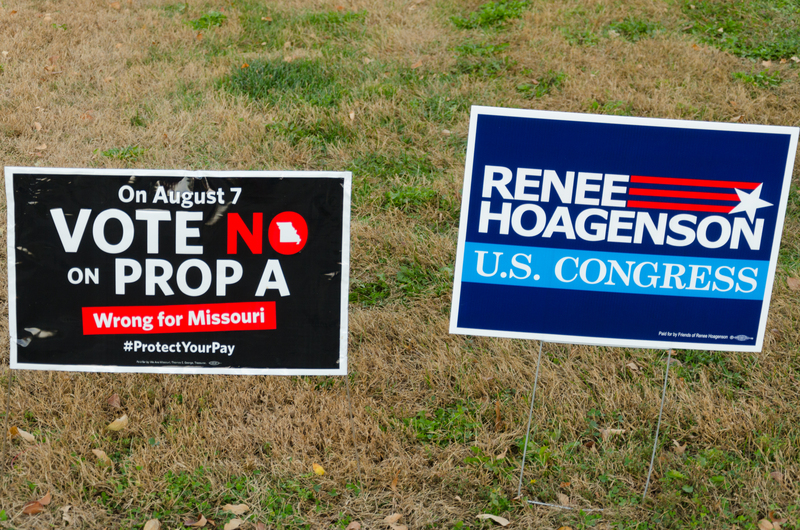 As our state became a national battleground over worker freedom, millions of union dollars poured into Missouri to persuade voters. 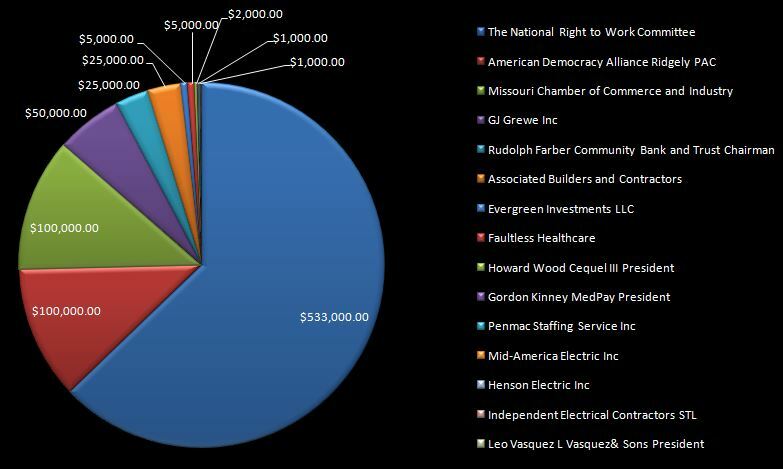 These out-of-state groups sent money to Missouri because they were fearful of losing out if Missourians had the power to stop their paychecks from being siphoned to pad union coffers and play politics. 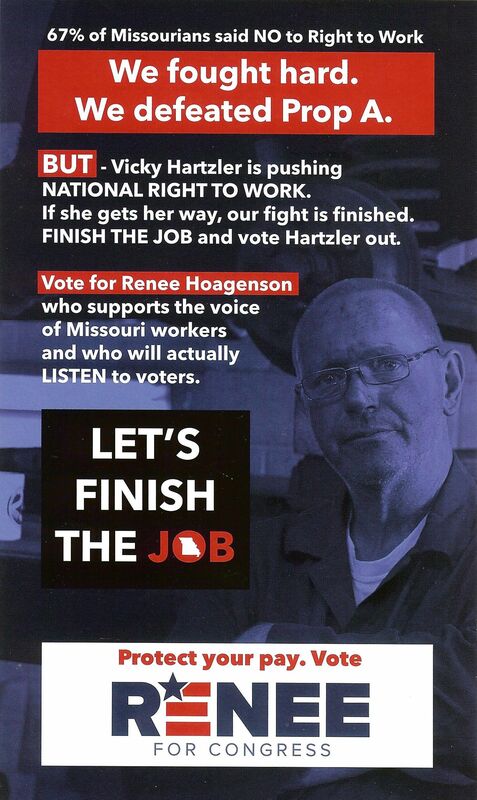 While supporters of Proposition A were vastly outspent, we still believe freedom to work is right for Missouri. Most states have already passed worker freedom laws. In addition to empowering individual workers in regards to union membership, these laws are important for competitiveness and economic development. 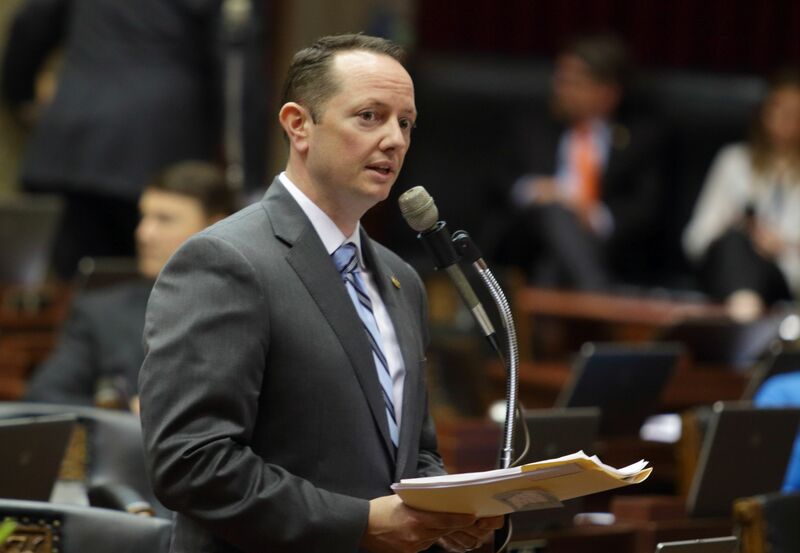 In the lead up to today’s vote, the Missouri Chamber used statistics from the Bureau of Economic Analysis to decisively show that freedom to work states are outperforming their non-freedom to work counterparts. The numbers don’t lie. 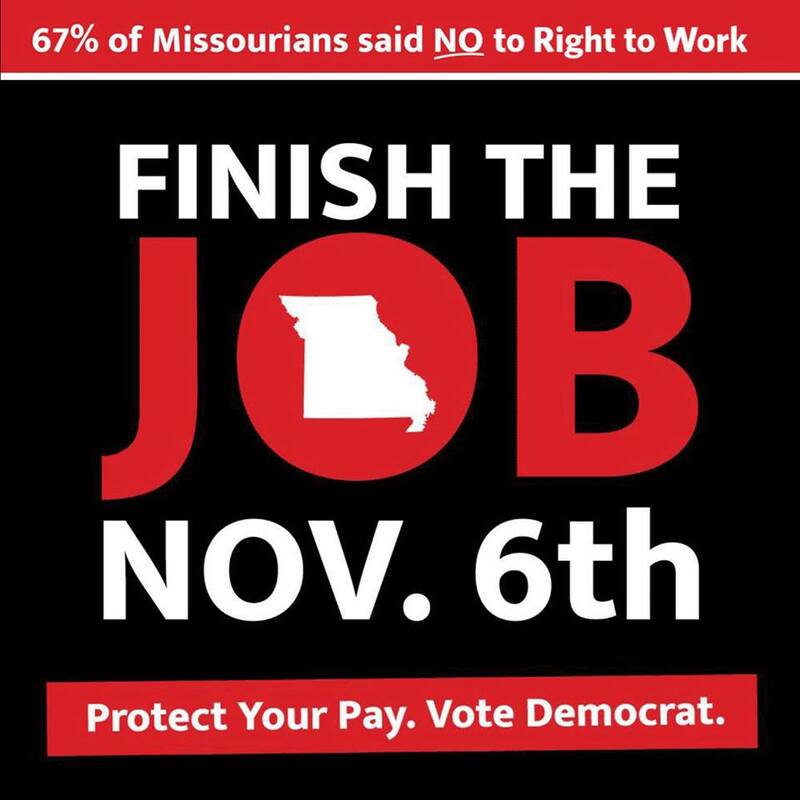 Missouri will continue to fall behind until we pass freedom to work into law. Unfortunately, the unions used their massive cash advantage to drown out our positive economic message. 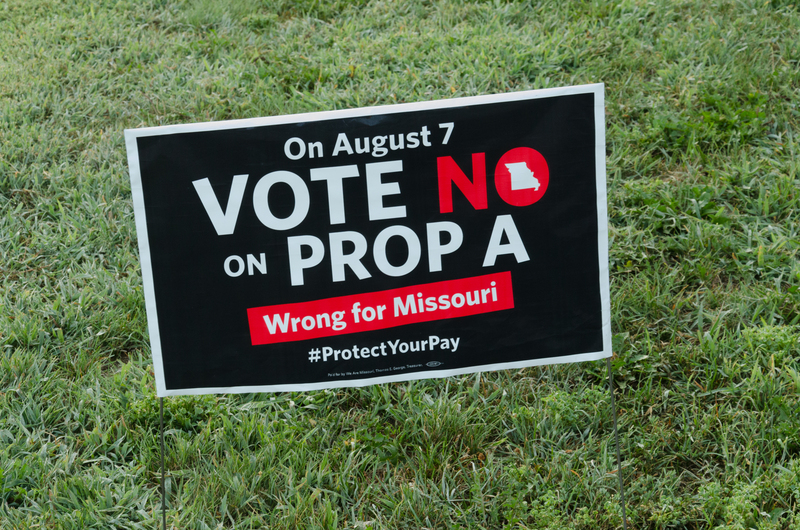 They spread misinformation and lies, which misled many Missourians about what Proposition A would do for them and for our state’s economy. This statement is not a concession. With the future of our state’s economy on the line, we cannot concede hope that Missouri will soon join most other states and pass freedom to work protections. Missouri has taken positive steps to improve our economy in recent years. We have passed tax reform and worked to improve our state’s legal climate. We are making great strides toward making our workforce one of the most competitive in the world. Freedom to work remains an important and worthy goal that the Missouri Chamber will continue to pursue. The use of “Freedom to work” is an interesting acknowledgement that “right to work” is now damaged branding. 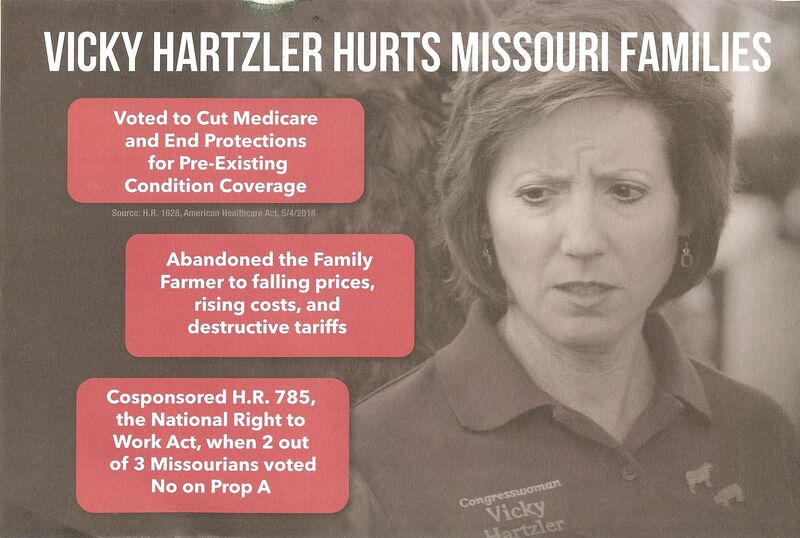 “…union bosses have blocked Missourians…” Dudes, the voters decided, and your defeat at the ballot box was epic. 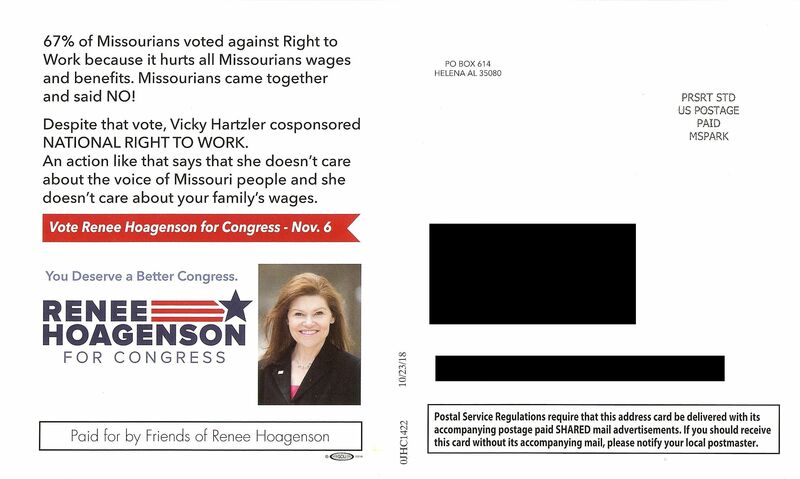 Whining about money in Missouri politics, eh? We look forward to the Missouri Chamber of Commerce and Industry endorsing the Clean Missouri initiative on the November 2018 ballot. “…This statement is not a concession…” You heard them. 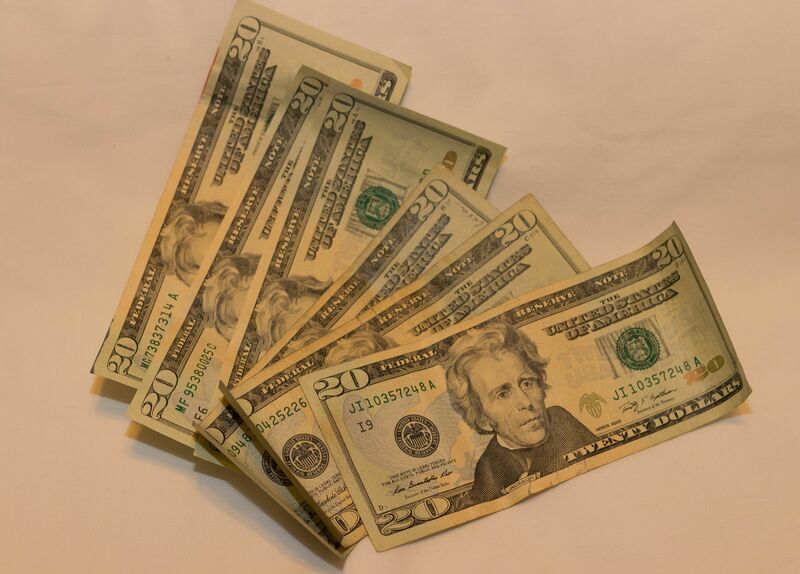 The enablers and funders of the anti-worker majority in the Missouri General Assembly will continue to prevail upon them to bring back “right to get paid less”. The only way to stop this is to vote out those State Representatives and State Senators who do their bidding. Remember that in November. They’re planning on you forgetting. 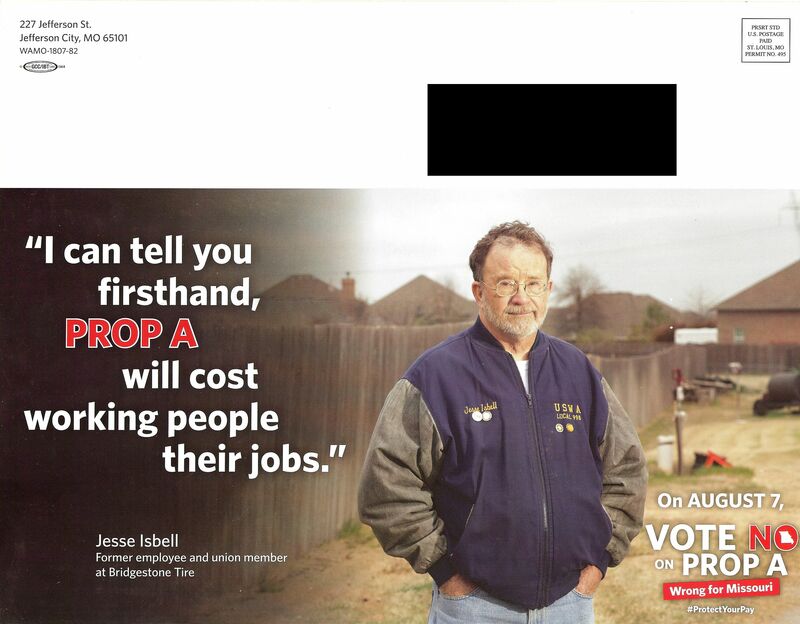 Proposition A, the anti-worker, anti-union “right to get paid less” initiative went down to defeat. Big time. The thing is, working people had to spend over $15,000,000.00 for that victory. In November every working person needs to remember who in the General Assembly voted for this and vote for their opponent. Otherwise, it’ll be back. 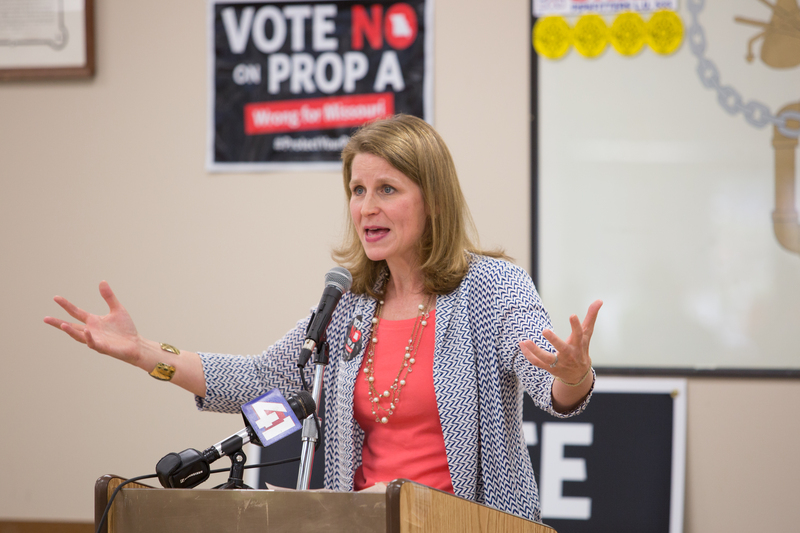 Liz Shuler, Secretary-Treasurer, AFL-CIO – Vote “No” on Proposition A rally – Kansas City – July 10, 2018.